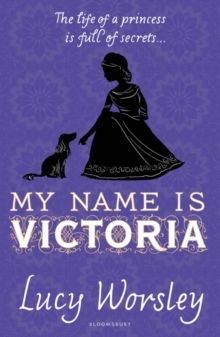 ‘You are my sister now,’ Victoria said, quietly and solemnly. ‘Never forget it. I love you like a sister, and you are my only friend in all the world.’ Miss V.
Conroy is good at keeping secrets. She likes to sit as quiet as a mouse, neat and discreet. But when her father sends her to Kensington Palace to become the companion to Princess Victoria, Miss V soon finds that she can no longer remain in the shadows. Torn between loyalty to her father and her growing friendship with the wilful and passionate Victoria, Miss V has a decision to make: to continue in silence, or to speak out. By turns thrilling, dramatic and touching, this is the story of Queen Victoria’s childhood as you’ve never heard it before.